It warms the heart to see an idea catch on! I must confess, the idea for British Tars: 1740-1790 was not entirely my own. It came to me through Gregory Urwin's Redcoat Images. His approach to studying uniforms through literally thousands of primary source images with an eye far more critical and learned than mine encouraged me to try the same format with a different subject. Now it is being applied in a wholly different arena: Scottish Jacobites. 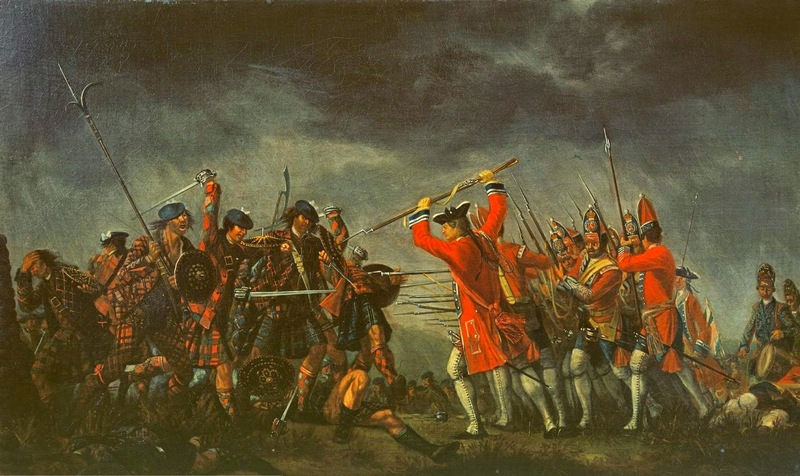 Jacobite Reenactors: Pacific Northwest is hosting a new blog by Daniel Cespedes that uses contemporary images of the highland Scottish rebels for a better understanding of the common dress of the 1745 rising. Head on over and give it a look!